Life Water is the Middle East’s largest capacity still water bottler. Founded in 2001, it has grown to become the market leader in Iraq. 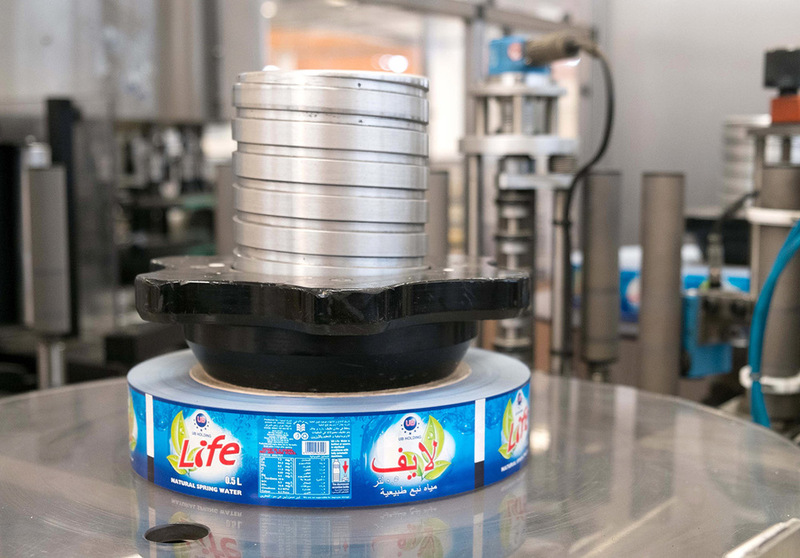 Ahram Food boasts the ability to produce 429,000 half-litre bottles per hour and 11 million per day with two bottling plants, one in Zakho and one in Suleymaniyah, and 250 employees. Sourced from Kurdistan’s White Mountain, our water has an optimal PH level of 7.2. We use machinery built by Sidel, Europe’s leading packaging equipment manufacturer, in our 100,000-square-meter bottling plants and employ the latest technology in packaging materials. All our production operations are quality controlled and recorded around the clock in modern quality control laboratories. We are dedicated to boosting Iraq’s private sector growth and non-oil sector. Our future plans include installing two additional production lines to increase our capacity as well as building a new factory in Basra in southern Iraq. Since our production capacity is the largest in the region, we opted to begin our own PET-preform production under the name of Safpet to meet our bottle demand. Safpet is the first and currently the only modern PET-preform facility in Iraq.